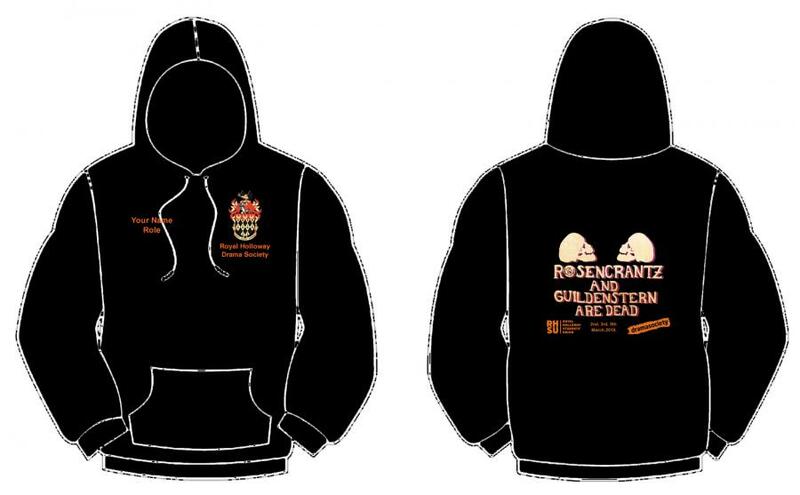 Black unisex zipped hoody with RHUL crest and society name embroidered on front left chest. Rosencrantz and Guilderstern production design printed on back with show dates. Optional personalisation of Name and/or Role embroidered on front right chest in orange.